Perfect for re-enactors, Renaissance festivals and historical collectors. 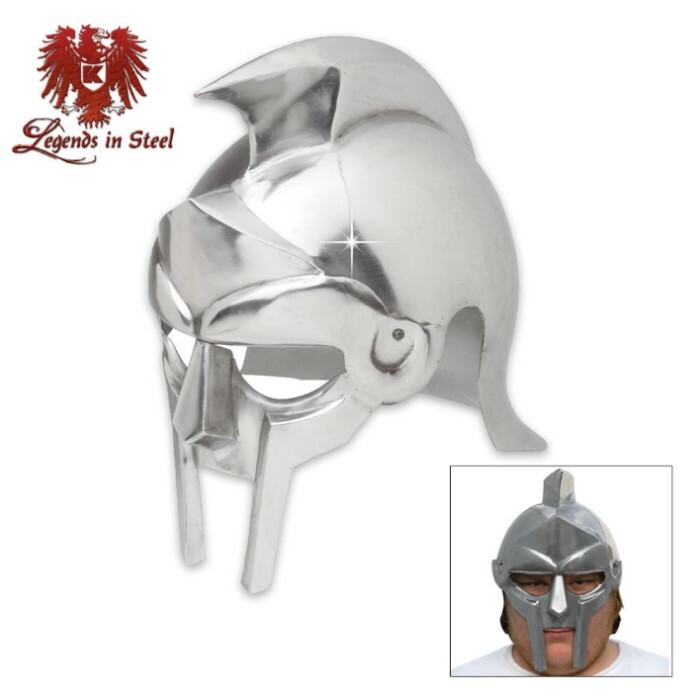 This life-size replica gladiator helmet is crafted of 18-gauge carbon steel with a smooth finish. 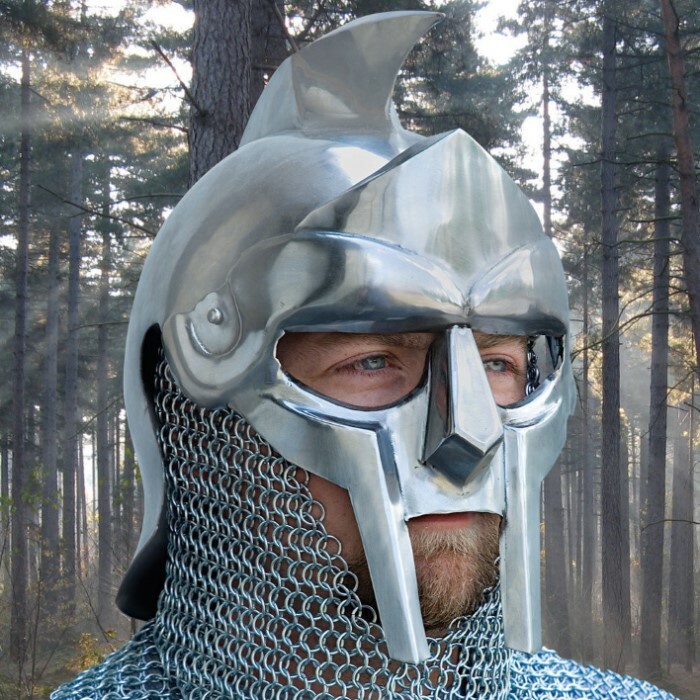 Bring the coliseum back to life with this gladiator helmet. This the fourth helmet I have bought from BudK. The first three (Crusader Helmet, Spagnen Helmet, and Barbarian Helmet) were all high quality, well made, collector grade helmets. This one was half off at the time ($40) so I figured why not. It looks and feels like it's made of aluminum. It is ultra light weight. My other helmets are made of multiple pieces of metal bolted together, but this one is just a mask held to the rest of the helmet by two bolts. Frankly, I have seen toy armor that looked more intimidating than this. If your a fan of "Gladiator" then by all means get it. But don't expect anything special. I got it cheap so I still give it four stars. Good stuff. I have fun with it. This is a very nice helmet. Don't let the bad reviews fool you. I got this for a steal! $60.00. However there is no padding on the inside, you can go to a hardware store and buy movers blanket for 5 bucks and just hot glue or duct tape it to the inside. Over all it's a very nice peice for a great price. I'm going to paint it dark grey with red war lines and attach a Viking beard to the bottom for my cosplay. Very nice helmet, just needs padding inside. Worth every penny!